With an increasing number of participating companies, choosing the right route during the FlowerTrials®, the top Pot and Bedding Plant event, requires some planning. No less than 49 breeders at 30 locations in Westland and Aalsmeer in The Netherlands and Rheinland Westfalen in Germany will show their pot and bedding innovations, creative concepts and a wide range of crop assortments in week 24. As of this year a bi-weekly FlowerTrials ® online newsletter presenting the highlights of the exhibiting companies is being issued in the months leading up to the event. The brand new, interactive website www.flowertrials.com highlights each company assortment in English, Dutch, German and French. Maps with locations and hotel information are available to help with planning and navigation. The new website design has been made responsive to make this a user-friendly experience on a tablet or mobile phone. 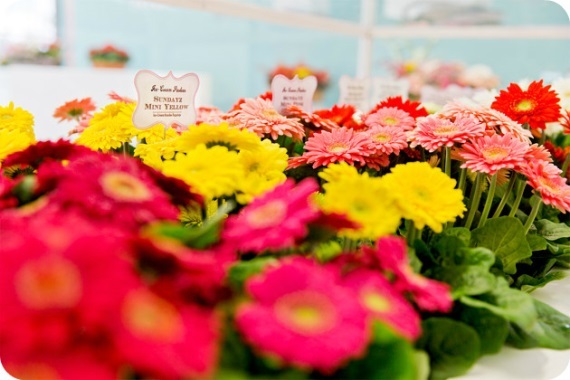 The FlowerTrials® is an ultimately social event. Visitors are encouraged to share highlights and tips on social media and this year’s event offers a dedicated FlowerTrials® Facebook page allowing visitors to post images and leave comments. The hashtag #flowertrials steers the conversation on Twitter and the FlowerTrials® mood boards on Pinterest are ideal for sharing pictorial inspiration during and after the event. Sonja Dümmen, Marketing Manager at the Dümmen Group and in charge of social media for the FlowerTrials® Foundation: “Next to discovering the latest assortment, the FlowerTrials® is also a key networking moment. The brand new FlowerTrials® social media channels can be used to maintain existing relationships and make new, valuable connections”.